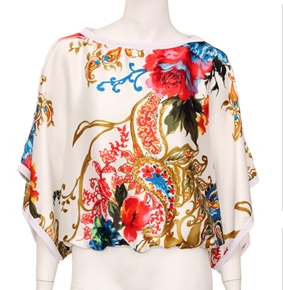 Butterfly sleeve top, sateen with large armholes and thin banded bottom. Made in USA. 100% polyester. Comes in size: Small; Medium; Large.